Yesterday , Lenovo revealed the Motorola Moto Z , Moto Z force and the MotoMods ( The modules for Moto Z ) . 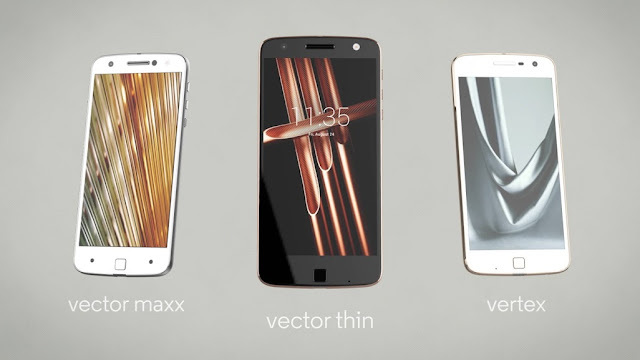 However , The third member of Moto Z family is still unannounced . The Moto Z Play , codename Vertex will be announced later on . Moto Z Play will be the cheaper version of Moto Z with lower specifications . However the Smartphone will come with same modularity feature along with 16 magnetic holes . The only difference is , the Moto Z Play will be downgraded in terms of RAM and Processor . Accordingly the Moto Z Play will be coming with a 5.5-inch 1080p touchscreen, a 16 MP rear camera, a 5 MP selfie shooter, Qualcomm's Snapdragon 625 , 2GB of RAM, 16GB of storage, a 3,600 mAh battery, and a thickness of just 5.9mm .